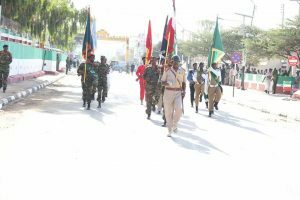 The Somaliland National Armed Forces are celebrating the 25th anniversary of it’s creation this month. The forces were inaugurated in 1994 after the amalgamation of the various militias that took part under the umbrella of the Somali National Movement (SNM) which liberated the country from the yoke of the Barre regime. It cannot be underestimated the effort it took to bring together heavily armed fighters into a cohesive force with discipline and order. 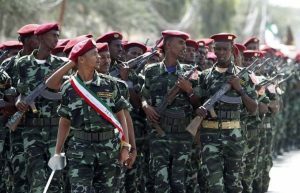 It is worth noting that until the last few years, the Somaliland Armed Forces did not have proper military rankings and the chain of command was based on experience, mutual respect and discipline. The late President Mohamed Ibrahim Egal (AUN) and those working with him from all across the Somaliland communities deserve all the accolades for putting together these forces that are today the vanguard of the nation’s defence and security. 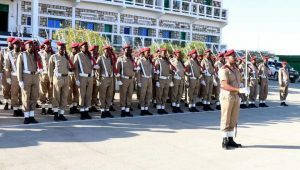 The Somaliland Armed Forces have come a long way in terms of training, communications, weaponry, logistics and administration. There are now several military training centers, a police training academy, naval and coastguard co-operation with European Union partners and custodial corps facilities. 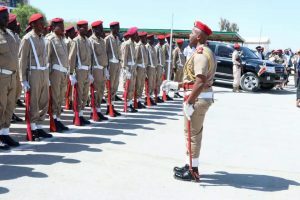 The current President Muse Bihi Abdi, a former Air Force officer and a veteran of the liberation war is currently tasked with creating the final component of the Somaliland Armed Forces, an Air Force. We have the seasoned veterans and the willing youth, it is only a matter of national will. 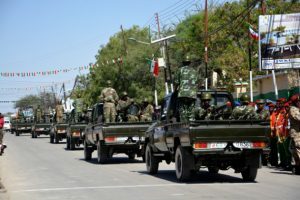 The people of Somaliland support their armed forces both materially and spiritually, and in return the forces take part in relief operations during times of extreme environmental conditions, such as drought, floods and other events due to the forces of nature. 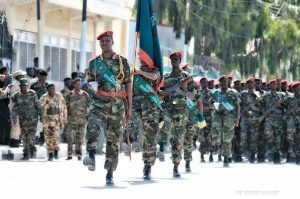 So, for this whole month, Qarannews, will print articles and post videos dedicated to the Somaliland Armed Forces and its 25 years of existence.